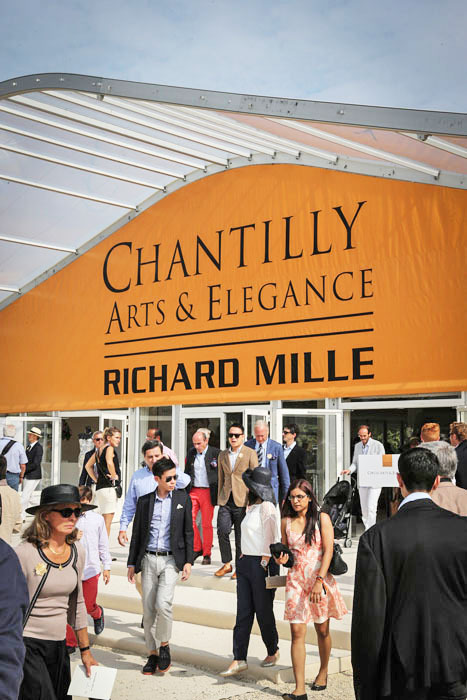 On the week end of the 6th september we had the pleasure to be invited to celebrate the first edition of the Chantilly Arts & Elegance sponsored by iconic timepiece manufacturer Richard Mille. 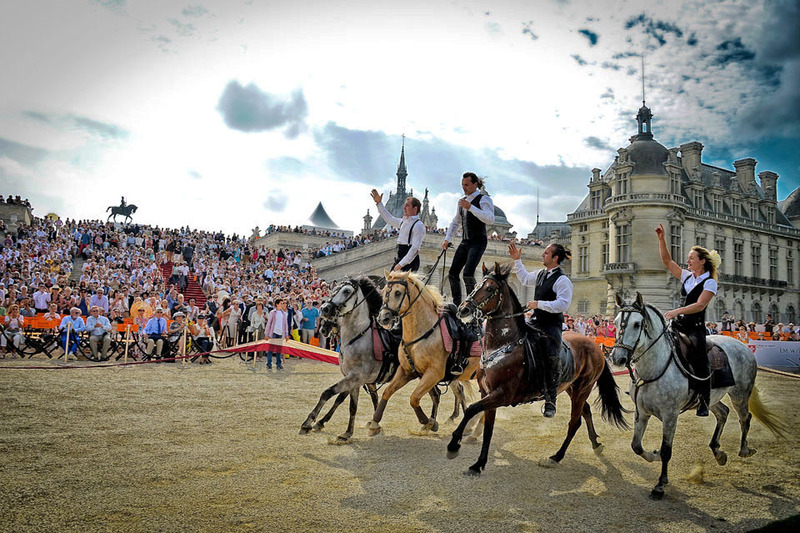 The festivities started with a fabulous gala dinner in the Chantilly horse museum with the glamorous presence of Mr. Richard Mille’s friends, Natalie Portman and her husband Benjamin Millepied. 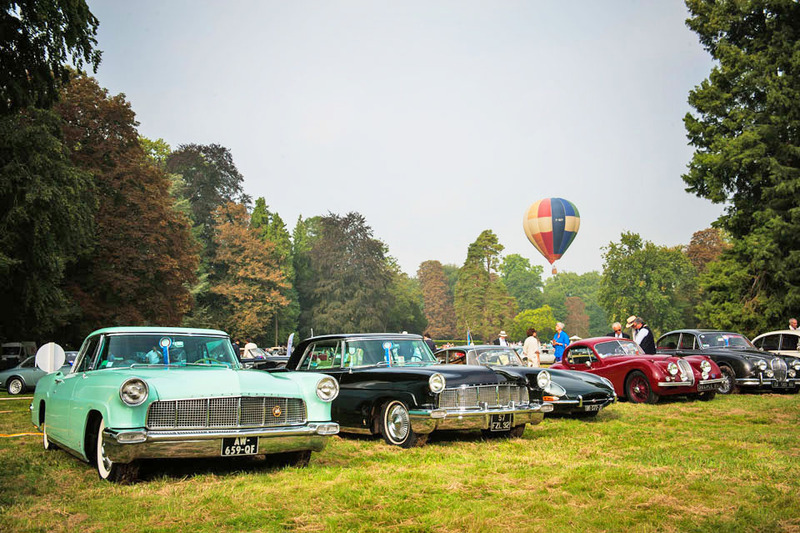 On sunny Sunday morning we drove to the Château de Chantilly to discover more than 500 exceptional cars divided into ten classes displayed in the gardens of the Chantilly domain. 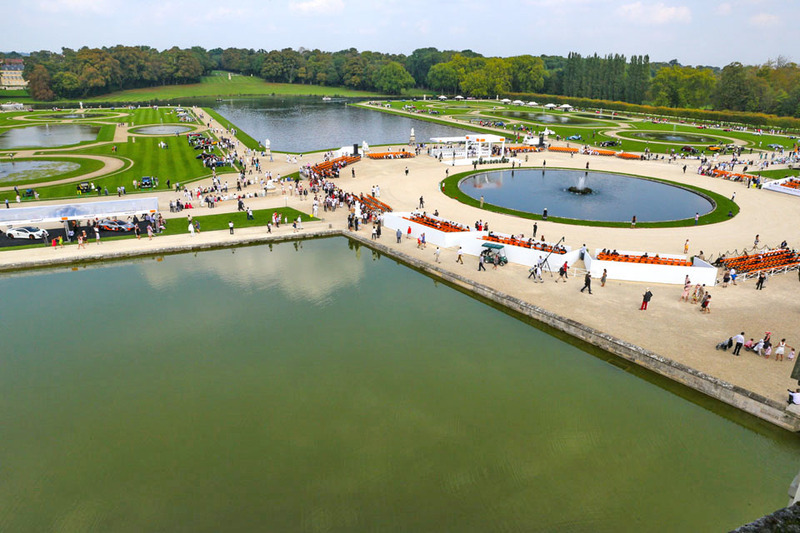 About 10000 people walked around the gardens to discover the stunning cars exposed by major collectors from all over the world and enjoyed different activities as a guided tour of the Chateau de Chantilly, an air balloon tour to admire the amazing gardens or touring aboard steamers on the canals. After lunch we where invited to the tribune to enjoy seeing the cars driven around that won the different prices adjudicated by a jury of around 40 renowned car experts. 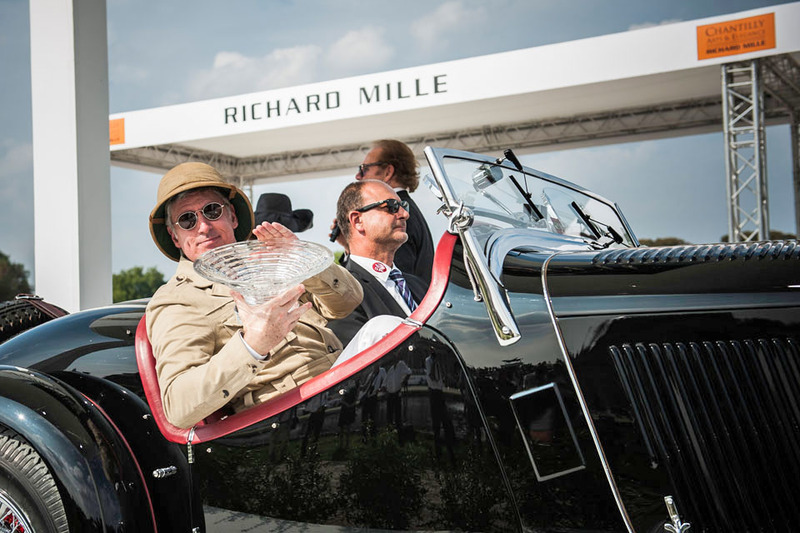 The Richard Mille Concours d’Elegance prize was won by the Alfa Romeo Disco Volante, a concept car designed by Touring and based on the Alfa Romeo 8C Competizione. 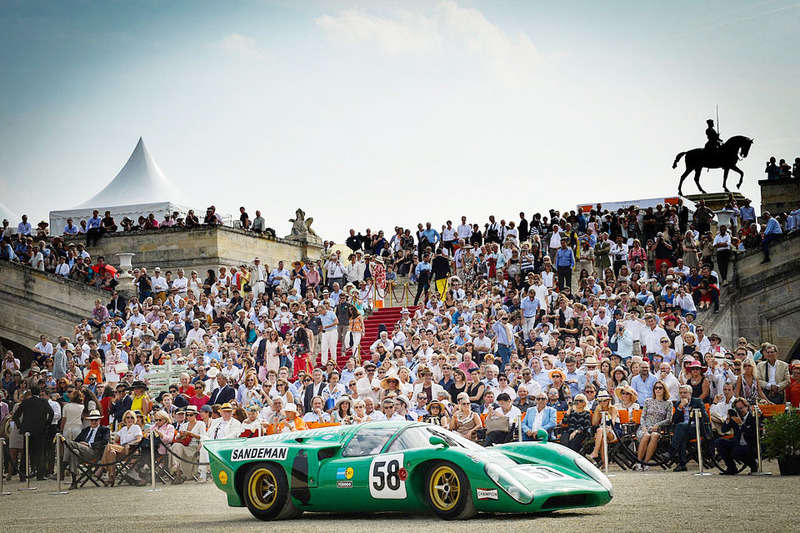 The condition, restoration and historic interest of a hundred cars came under scrutiny in the Concours d’Etat. 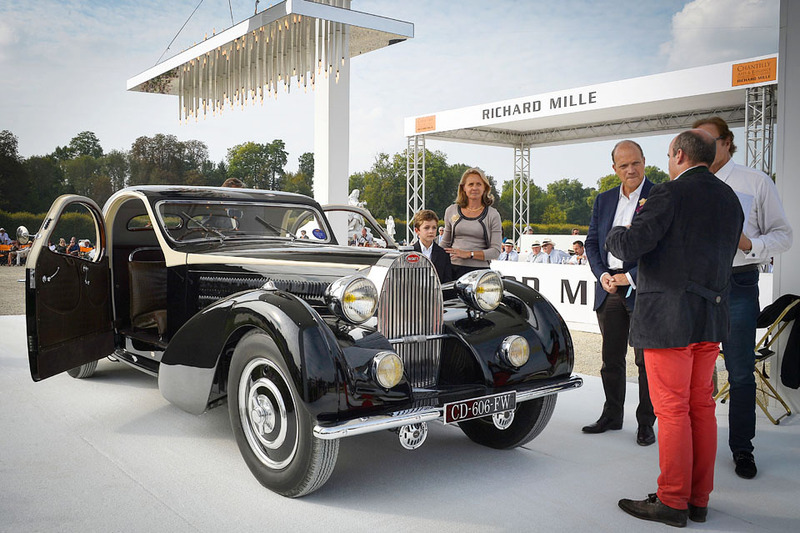 The Richard Mille Best of Show prize went to an extraordinary 1937 Delahaye 135M cabriolet, honoured for its ultra-sleek lines designed by Figoni et Falaschi, the celebrated pre-war bodywork manufacturers. On top we could discover eleven concept cars from international manufacturers, including three world premieres: the Aston Martin Zagato Shooting Brake 2014, the DS Divine and the Peugeot Exalt. 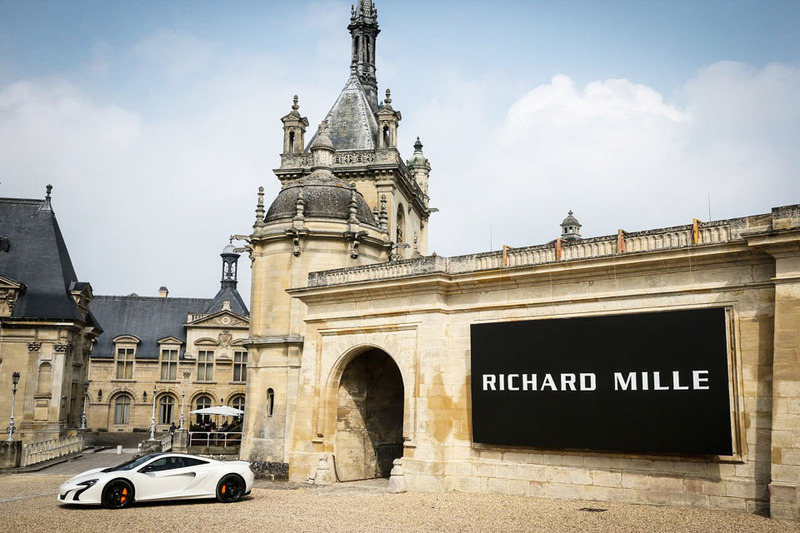 McLaren also chose Chantilly Arts & Elegance as the setting for an exclusive European presentation of the McLaren P1 GTR, a 1000hp super-car reserved exclusively for the race track. At the day we went back to the Château de Chantilly to enjoy a cocktail before heading back home. 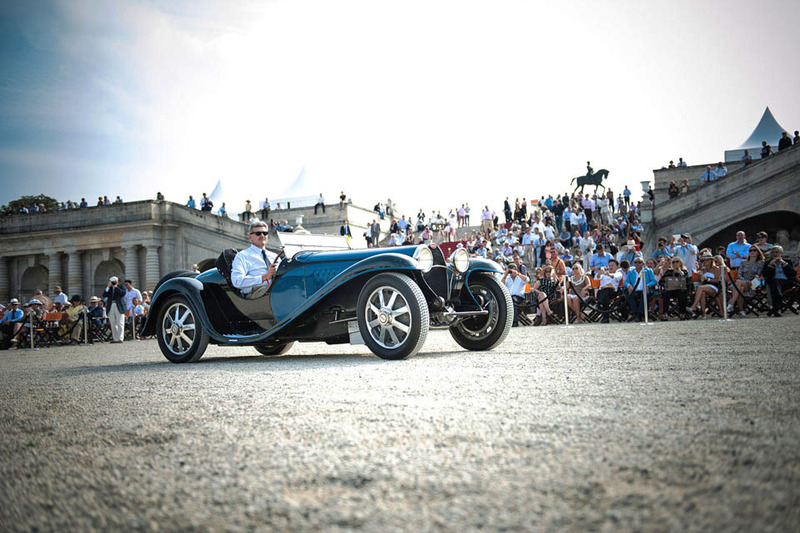 It was a marvellous event and we are already looking forward for the second edition which should take place on the first week end of september in 2015.